Twitter is killing Vine. The social media company is shuttering the short-form video-sharing service for unknown reasons; a decision likely to devastate the creators who have forged a career creating and sharing Vines to amuse and entertain others. The announcement was made on Medium, with Twitter’s Vine team stating, “Today, we are sharing the news that in the coming months we’ll be discontinuing the mobile app.” Why Twitter didn’t choose to announce the news on, well, Twitter, is a mystery. Twitter launched Vine back in 2013 after acquiring it prior to launch. It allowed users to record looping videos of six seconds or less, and people quickly used the medium in creative ways. Others simply used Vine to share sports highlights. However, Twitter has, for some reason, decided now is the time to kill Vine. So, Rest in Peace, Vine. Why Vine? And Why Now? This seems like an odd decision from Twitter. Vine is reported to have had 200 million monthly active users, and at a time when its parent company is struggling, appears to have been doing rather well, thank you very much. Still, it’s over, or at least it will be within the next few months. At which point Twitter will kill the mobile app, and, with it, the ability to record new Vines. 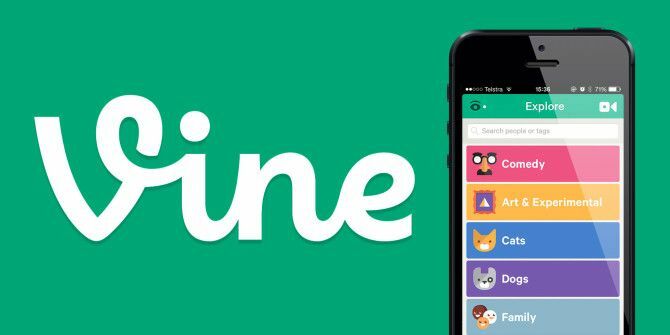 The Vine website will then remain online for as long as Twitter can be bothered to maintain it. Are you sorry to see Twitter killing Vine? Did you ever make your own Vines? Or did you just watch other people’s Vines? Why do you think Twitter has killed Vine? And why now? What should Vine fans use instead? Please let us know in the comments below! Explore more about: Instagram, Online Video, Twitter, Vine.